Choosing a forklift can be overwhelming. It’s a big investment and there are a lot of options. Below are some questions, developed by our staff, to help buyers choose the best forklift at the best price that will meet their operational needs for many years. What’s the average load weight the forklift will transport? What's the maximum weight the forklift will transport? What size pallets do you normally use / what are the dimensions of your loads? Forklift capacities are based on a standard pallet with a 24″ load center. If you don’t use pallets, or if the load is longer than 48″, this affects which forklift is best for your operation. How high will the load be lifted? You'll need to know the specific height in inches. How many loads will be handled during an eight-hour shift? How many shifts will the forklift operate per day? Per week? How far will the load be transported and across what types of surfaces? Do you prefer electric, LPG, or diesel fuel? Learn more about forklift fuel options. Are there any ramps to negotiate? If so, what is the percentage grade of the ramp? Are there overhead obstructions (such as doorways) the truck may need to pass under? If so, what are heights, widths, etc.? Will the truck be used inside or outside? If so, what type of surface will the the forklift operate on (ex. asphalt, gravel, standing liquid, dirt or mud, etc). This is important for a few reasons, including the type of tires your lift truck will need (cushion vs pneumatic). Lift truck tires are not interchangeable. What are the environmental conditions (wet, dusty, freezer, etc)? Does the forklift need an attachment such as a single-double, side-shifter, barrel handler, etc.? Learn more about forklift attachments. Will the truck move loads in and out of trailers? 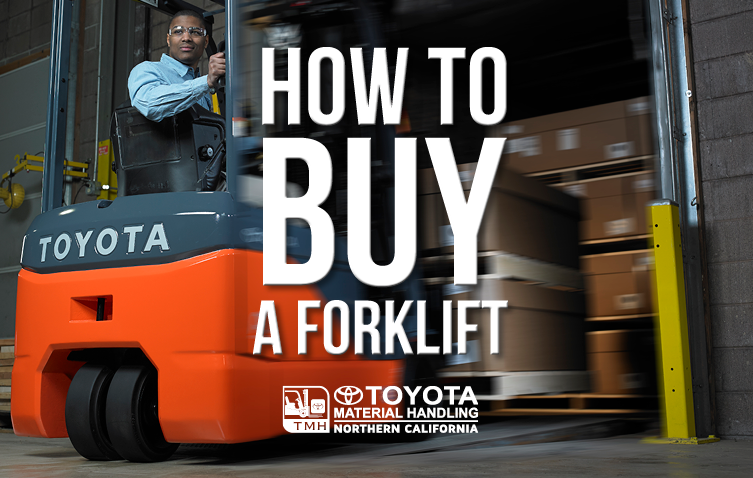 The list above was developed by the TMH staff to help customers buy the right forklift for their operation and avoid costly mistakes. If you have questions, please contact our friendly and experienced team. We’re committed to helping you find the right forklift for your operation: new or used, electric or ICE. TMH has a large inventory of new and used equipment so you can get the equipment you need fast. We offer everything from creative financing to service and repair. We look forward to earning your business. What's Better - Low Cost of Ownership or the Lowest Price?